I guess after a transplant all of the meds and such make sperm not so awesome at becoming babies; so if we want to give the whole having a baby thing a whirl now is the time. And of course we do, so we're giving it our best shot (oh man this could get punny!!). The process of in vitro has officially started—let the poking and prodding and little-baby-Egbert-making commence. Right out the gate: Day 3 blood-work. Two weeks ago when I had to call our fertility doc's office on the first day of my period, praying a lady nurse would answer; then proceeding to tell Paul that I was "on day one and would Natalie or Sheri please call me". Oh, I'm positive it's only going to get more awkward from here, so here's to that! Little tip for getting blood-work done: drink twenty-seven gallons of water earlier in the day so your veins will be nice and juicy—then they won't poke and dig until they resort to just draining it out of the top of your sad little hand. I've been back and forth about sharing this whole part of our crazy whirl-wind life or keeping it under wraps.... But then I realized I would love to find someone out there going through the same thing, sharing the goods (the ins/outs, ups/downs, etc). And if somehow I can help one person who is looking at in vitro fertilization in their future—awesome. And if not—that's cool too, we'll have this baby (literally) fully documented anyway. Cha-Ching! Not sure why I am crying right now?! The ironic thing about all of this Ger is that out of all of us, you are the most squeamish when it comes to all this body parts and baby makin talk. Boy you are gonna be a changed lady after all of this' prayin for you guys! Um, you're amazing, you know that? I think anytime we share something personal it is scary, but someone, somewhere out there needs it. Not the same exact thing, but my dear friends had infertility problems and went through a few cycles of IVF. she talked all about it on her blog. She's a nurse too, so its nice that she can explain whats really happening, etc. anyways, worth a look if u want. good luck u guys! prayers your way! i am so glad you shared! it's hard to talk about this stuff. a baby egbert would be so wonderful! i wonder if he/she will have red hair! you are constantly in my thoughts and prayers! Best wishes!! You guys are always in our prayers. Much love. I'm so glad you're sharing this part of your life with us. Hoping you and your husband have a smooth road ahead through this process and will get to meet your sweet baby very soon! You folks hang in there. Heavenly Father has a plan through it all. Luckily we never had to do in vitro but it did take us 7 years and several surgeries to get there. It is ALL WORTH IT IN THE END. I have put BOTH your names on the prayer roll and we will continue praying too. Love you, We leave tomorrow for China, so don't call until April 16 or we get charged tons of international fees whether we answer the phone or not. We started IVF in May 2011 so you can read from there if you have any questions about the process. I do have to say that you need a distraction. It is so consuming mentally, physically, spiritually, etc that something to look forward to is so great. We planned a little vacation for a couple months after we finished IVF. It was great when I needed to get my mind off everything. The drugs aren't as bad as I had expected, but depending on how many eggs they retrieve, you can feel really crappy after the retrieval so make sure to take some time off. Also, you have to be on progesterone the first 6-10 weeks if it works so morning sickness is 3 times worse than it is for most people the first trimester. The coolest part was when they showed me the embryos. Everybody gets a picture of their little fetus but who gets to see their embryos? It is such a neat experience. Feel free to email me any time. I totally emailed a couple of people I didn't know (I randomly found their blogs) before I started the process so I could feel more at ease with the entire process. Good luck! We love u guys and are so so so so so so so so so so so happy for u! (I'm teary eyed even typing this) Gee wizard u guys r amazing and are always in our prayers. I was so excited to read this post. Although not so excited that you had to get blood work. :) I came across your blog awhile ago and have enjoyed reading it ever since. I love your cheerful blog posts and the beautiful pictures. When I read that your husband has cystic fibrosis I wanted to read even more. Because my husband does too. We don't have to go through the hard things you do but we are going through all of the infertility too. And I'm so excited and hopeful for you about your in-vitro. And I'm so thankful that you're posting your experiences with it. My husband and I are currently in the process of adoption (hopefully!) but we are definitely interested in trying in-vitro in the future. We didn't do IVF but IUI. Fun little adventure and I so appreciate the perspective it has given me. Every time I would get embarrassed, I had to remind myself that everyone else in the doctor's office was there dealing with similar feelings, and probably felt just as awkward as I did. Fun times Geri. Can't wait to see a mini Egbert. And, a redhead would be a bonus! You are so strong. I can't imagine all the emotions you must be experiencing right now. Best of luck and success to you, and thanks for sharing this part of your life with us! I have so many emotions going on after reading this. I am so happy that you have time to do this before it becomes transplant time. We LOVE you two and we LOVE to be updated about all these things. If we could we would be down to visit every week! I know that Heavenly Father is aware of you and loves you and we are always praying for you. Good Luck! Infertility stuff is really hard emotionally. My sister is doing IVF right now. Wade and I did everything up to that point and then felt Adoption was our route. It is hard but it brought us so much closer as a couple. My only advise is be completely honest about your feelings as you go through this process with yourself and the hubs. We will be praying for you and your sweet family! Let me know if you ever need to chat. Good luck Geri! Know that the Willmore's from Rexburg are praying for you guys! yayyy! good luck!! :]] that is so exciting! Dear Geri Girl! It was so awesome to see you this last week and I"m SO excited for you - you will be an AMAZING mother! 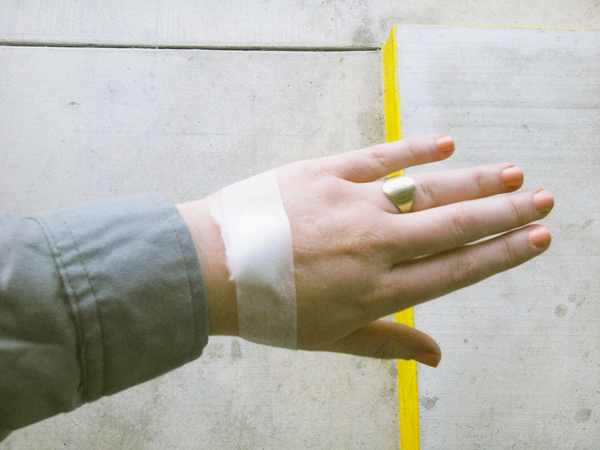 Regarding needle pricks - we are PROS at it - I'm mailing you a tube of lidocaine and IV-Prep stickers tomorrow. Put in on about an hour before you go in and you won't feel a thing. We do it for Dave's blood draws and it is magic. I did it on my hand and elbow for my last surgery and it was SO easy. Praying hard for you and Jason - you guys are THE BEST! We found adoption was an excellent way to go. Less hormonal craziness was an added benefit I will always be grateful for! And I don't have any stretch marks. I am a phlebotomist, and it sounds like you had a sucky one working on you. Yes drink lots of water, and if you are at all nervous, ask for a more experienced phleb. GOod luck! I love that you're sharing your journey through this! While I have a son, it took a long time with him and now looks like it's going to take even longer for a sibling. I'm apparently not one of those women that their husbands look at them & BOOM. :) So we've talked about getting fertility treatments soon (after I recover fully from my ectopic). Sharlie also has cystic fibrosis, and just had a double lung and heart transplant. She is doing great, taking care of her body from the inside out. Just perhaps something to give you more strength and hope. Best of luck to you with everything.